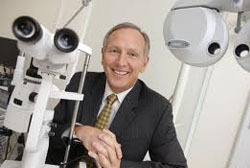 Laser eye surgery is a specialised branch of eye surgery and it uses very complex computer controlled surgical equipment. This means that laser eye surgery does not come cheap. But laser eye surgery offers benefits and treatment outcomes that cannot be matched by traditional eye surgery operations. Given the high costs of the laser eye surgery procedures some companies (like Optical Express) offer patients financing options for the surgery that make it easier for the middle-income earner to get the surgery and pay for it at a slower, pocket-friendly pace. If you are planning to go for laser eye surgery, you should naturally find out first what surgical procedure will work best for your condition and what sort of price range to expect, as this will depend on what laser surgery procedure you will have. Check out the Optical Express laser eye surgery prices for example before you decide which option to go for. Broadly speaking laser eye surgery comes in two flavours: LASIK and LASEK. These acronyms stand for Laser- Assisted In-situ Keratomileusis or Laser- Assisted Sub-Epithelial Keratectomy also abbreviated as PRK in some cases. Both these procedures are the refractive kind, meaning they aim to tailor and alter the refractive properties of the cornea of the eye in order to correct for any short-comings arising in this layer that are causing the eyesight problem. The cornea is nature’s focus lens. Problems like short or long sightedness come about when the cornea shrinks or gets elongated. Laser eye surgery reverses the condition by re-shaping it so that the light coming to the eye will come to a focus exactly at the retina. Before the eyesight problems begin, this is exactly what should happen. Which procedure is best suited to you depends on a few factors, not least the thickness of your cornea, that layer of the eye that focuses light on the retina. The decision as to which one is most appropriate in your case will, largely, be determined by the tests the surgeons make prior to the operation. Basic LASIK goes for £395 and above for each eye. Basic LASEK will be £395 or above, again for each eye. Advanced CustomVue Wavefront LASIK is of course more expensive (£795 per eye). Advanced CustomVue Wavefront LASEK is equally expensive as its LASIK counterpart (£795 for each eye).